Foodies are flocking to Queens, the New York borough that has long lived in the shadow of glitzy Manhattan, as it emerges as a treasure trove of good eats. From gastropubs popping up all over the place, to Michelin-starred cuisine, the hot new food scene reflects the steady gentrification in the area. People in the know are trekking across the East River to explore this new culinary hub. Something changed in Queens one evening in October 2015 when Lady Gaga, wearing a pink dress, walked down the street in the Astoria neighbourhood to attend the opening of The Pomeroy, a hip restaurant run by a childhood friend, chef Bo O'Connor. Her appearance helped New Yorkers realise that Queens had erased its image of humdrum suburbia. 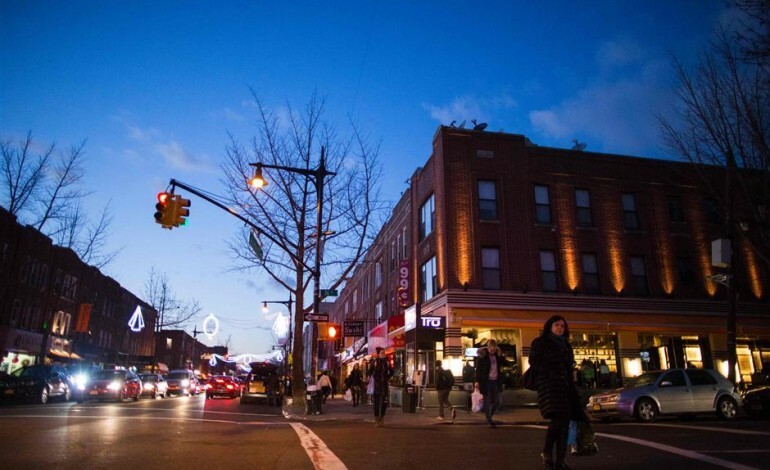 Astoria - the Queens neighbourhood closest to Manhattan - is at the cutting edge of this movement. "A new restaurant and bar is opening almost every month," said Dixie Roberts, a freelance journalist who works for the website We Heart Astoria and lives close to The Pomeroy. "Five years ago, there wasn't that many places," said O'Connor. "This area definitely hadn't developed. But in the past two and a half years, it's really been incredible." Gastropubs - a British import - are cropping up along main streets and often sport a similar look: a bar, minimalist decor, designer tables and chairs, intimate lighting and parquet floors. The food is changing too, with new restaurants trying to offer something different to the options traditionally available in the area. "The menu you see here you won't actually find anywhere else in Queens. Everybody else in Queens is serving the same exact traditional cuisine," said Sonny Solomon, owner of an Indian place called Kurry Qulture. He used to be affiliated with Devi and Tulsi, Indian restaurants in Manhattan that earned Michelin stars. 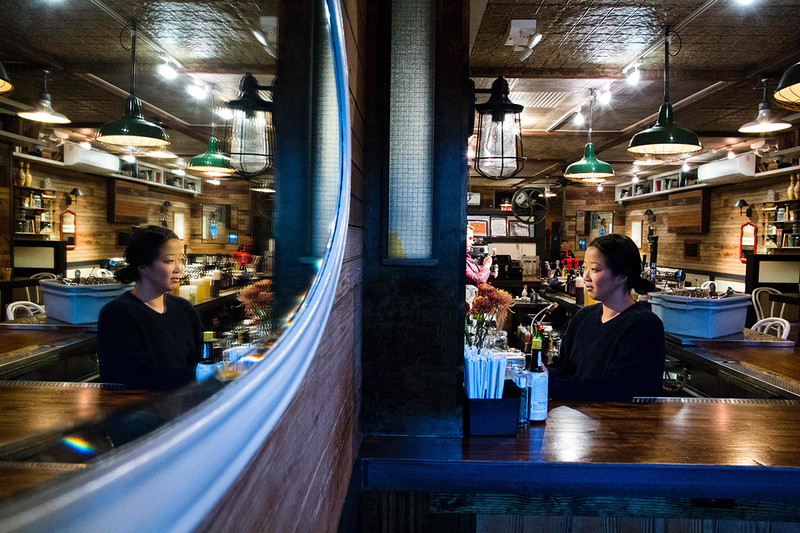 "We're trying to elevate Vietnamese cuisine," said Louis Leung, co-owner of District Saigon, praised in a review by The New York Times in June just four months after opening. 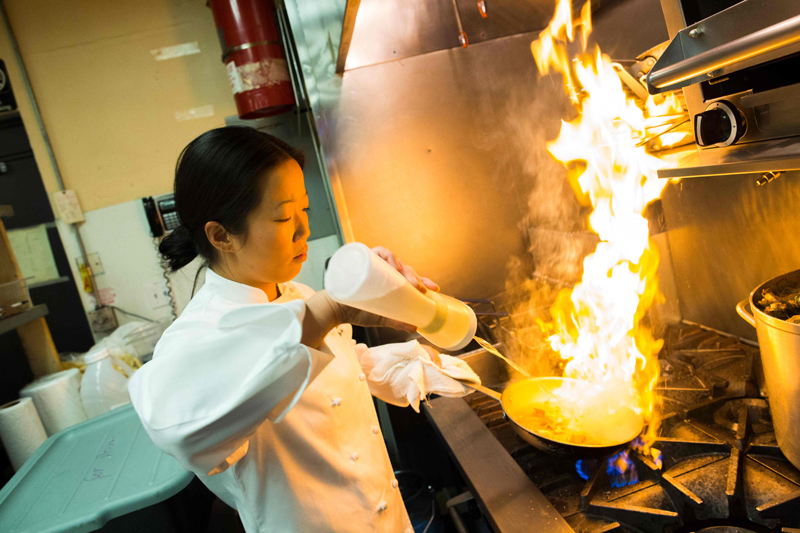 At The Pomeroy, O'Connor serves American cuisine with a hint from South Korea, where her family is from, and lots of daily specials. 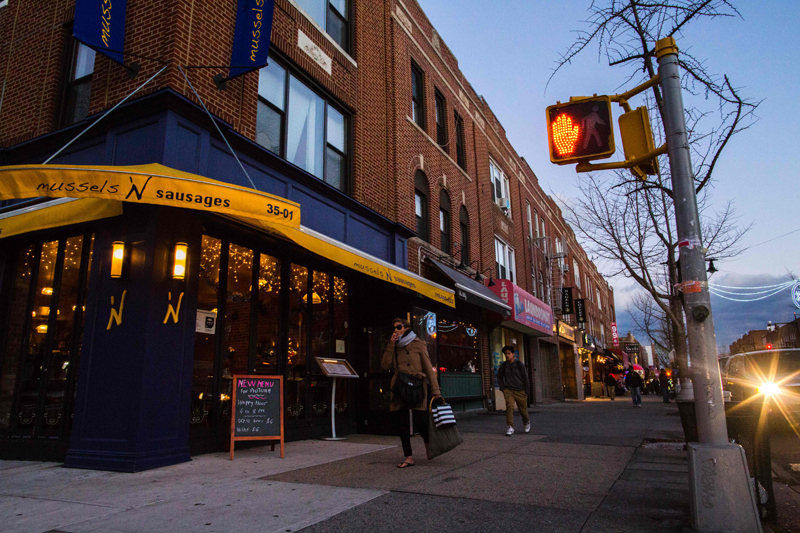 Queens is working-class, so while the new restaurateurs charge higher than average prices, they also try to stay affordable. "There's just so many options," said O'Connor, whose offerings include small dishes that can be shared. At Kurry Qulture, the average check is US$45 to US$50 (S$65 to S$70) a head, "which is decent for the quality of food and service you're getting," said Solomon. "When you come here, it's not only for food. It's about seeing and being seen," he added. Even the lone Michelin-star restaurant in Queens - the Mexican eatery Casa Enrique - aims for affordability, with most dishes priced at under US$20. Before this influx of chefs and entrepreneurs, the best known restaurants in Queens were either Italian or Greek - two communities that still have a strong presence in the borough. At Taverna Kyclades, a well-known Greek place that has been a staple for decades, owner Ardian Skenderi says he has no problem with the movement. "There is no competition," he said. "Everyone knows each other. Everyone supports each other. We all do, like, a little bit of a different thing," said O'Connor. 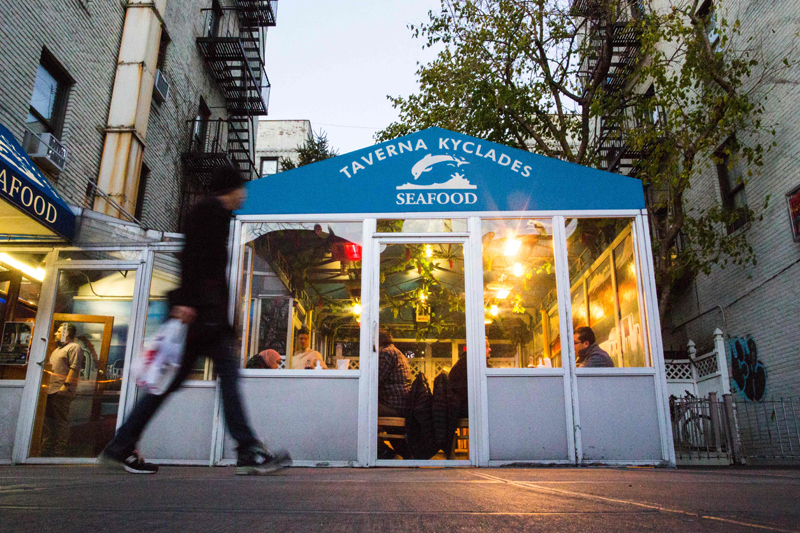 "Taverna Kyclades is an institution and nothing can touch Kyclades," said Roberts. Others worry about the deep transformation that Queens is undergoing - similar to what happened in Brooklyn - with the food frenzy just the tip of the iceberg. In the north-west part of Queens, which includes Astoria, average housing prices have shot up 58 per cent in five years, according to the real estate firm Douglas Elliman. Foodies are flocking to Queens, the New York borough that long lived in the shadow of glitzy Manhattan and was hardly seen as a treasure of good eats. Dan, who belongs to a group called the Queens Anti-Gentrification Project and declined to give his last name, believes it is possible to prevent the borough being overhauled by developers. The group managed to defeat a planned real estate project in the Sunnyside area after mobilising people and lawmakers. But it comes down to how much people care about preserving things, he said, adding: "I don't think there's a lot of resistance to development in Astoria." Some want to think Queens will retain its fabulously mixed flavour in terms of its cultures and people. Solomon said: "I hope it stays this way. It will be a lot of fun."